...Fast Asleep. Apologies for not getting this page up sooner, but that's where I was. 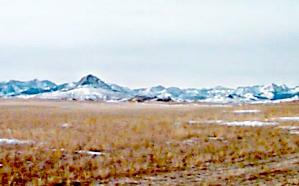 For those Strange Trippers who are "not from around here", this is Haystack Butte.